Thank you, thank you, and thank you again. We can’t say it enough. Thank you! Thank you for being part of Breast Cancer Action’s community of fierce, passionate, committed activists and for all the big and small ways you work to address and end this breast cancer epidemic. Your individual actions—writing letters, passing out toolkits, attending webinars, rallying your friends, donating money, and generally raising a ruckus—are part of the tremendous collective work our community does together. Together we’re a mighty force for change. No single person can create the big, sweeping, system-wide changes we need to address and end this public health crisis. That’s why we’re proud to work alongside so many committed activists like you. Members like you are the reason Breast Cancer Action exists. Thank you. Thank you for working for a safer, less toxic world for all of us. We desperately need strong regulation to clean up the terrible toxic soup we’re all swimming in. Thank you for working to protect the health of all communities and stop cancer before it starts. Thanks to the dedicated work of thousands of activists like you, we’re closer than ever to getting the legislation we need – the Safe Chemicals Act recently passed through committee and onto the Senate. Thank you for talking the ear off your friends, family, coworkers, and the head honchos of huge corporations about the perils of pinkwashing. We’ve profoundly changed the conversation about pink ribbon marketing and our Think Before You Pink® message has gone mainstream. We hope you got to see the groundbreaking documentary Pink Ribbons, Inc. and our most recent campaign calling foul on a pink ribbon drilling rig. Thank you for not buying Big Pharma’s spin hook, line, and sinker. Thanks for asking the hard questions and demanding unbiased, truth-telling, science-based information about breast cancer research, prevention, and treatments. Thanks for the donations that enable us to assess breast cancer research with a critical, patient-centered eye, and challenge industry influence at the Food and Drug Administration so that new treatments benefit women living with breast cancer and not just Big Pharma’s bottom line. Thank you for providing the funding so that we can refuse money from corporations that profit from or contribute to breast cancer. Your individual donations keep us independent, unbiased, and beholden to no one but our members. 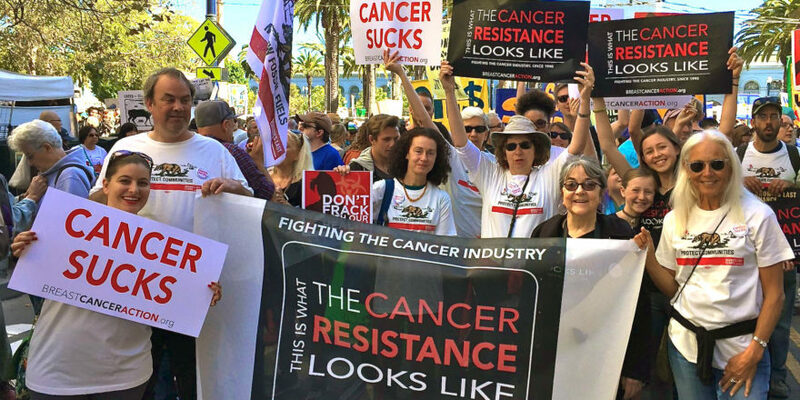 But perhaps most of all, thank you for helping us build and sustain this fierce, unapologetic grassroots movement that will always put public health before corporate profits. 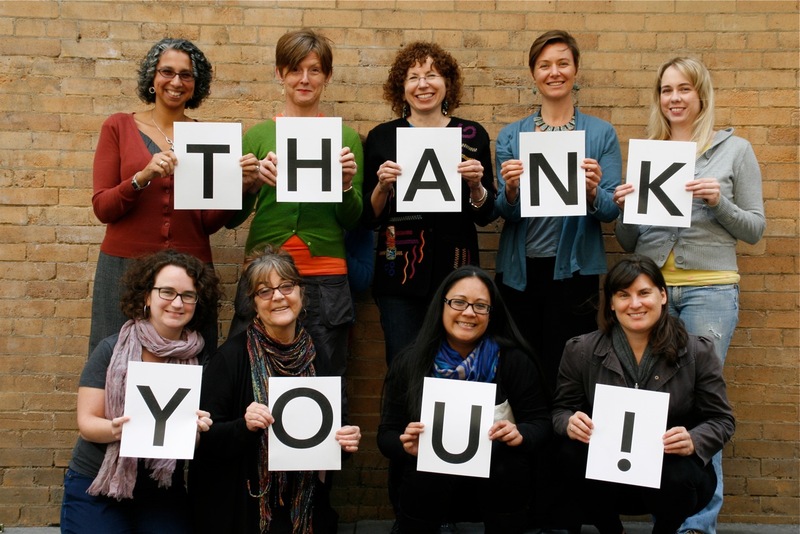 We are so grateful for your activism, your support, and your courage in challenging the status quo with us. We couldn’t do this work without you.